1. 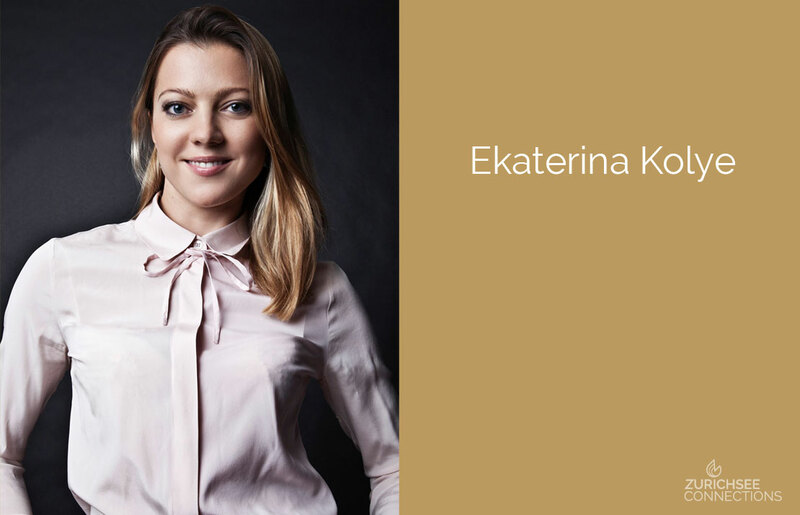 Ekaterina, please tell us about your interesting life. I was born in Ekaterinburg, Russia – in the Ural Mountains – an area rich in natural resources and gemstones. Growing up, playing the piano and competitive ballroom dancing were part of my daily activities, making for a busy but happy childhood. After graduating high school, I took part in several beauty pageants, including Miss Russia where I reached the final. As a result, I was invited to work for one of the top model agencies in Moscow, which I did while studying economics at university. After graduating, I was given the opportunity to work as a fashion model in Japan, where I stayed for 3 years, exploring the country and absorbing its beautiful culture. All these experiences developed my passion for beauty and elegance, and also gave me the discipline and strength to find my own way in life. After Japan and a one year stop in Boston, life brought me to Switzerland, where I could further develop my skills and grow as a person in more international level but still keeping my Russian soul. 2. What made you go into the Jewelry world? After working for more than 6 years in the commodity trade business in Zurich and completing a Supply Chain Management MBA from ETH, I realized that my professional life was lacking in emotions and esthetics. I met some Italian jewelry designers whose creations I started to present in Switzerland. I realized how much I was enjoying this work and I wanted to shift into this field. So I studied gemology at the Gemological Institute of America (GIA), and put my new skills to work for at jewelry houses such as Gübelin and Harry Winston. 3. Tell us about your present occupation with precious stones. Last year I was selected to be a board member of the Swiss Gemological Association. It allows me to stay updated about the news and developments in the world of gemology, and gives me the opportunity to meet and learn from the most experienced people in this exclusive industry. At the same time I work in collaboration with Alexander Leuenberger, founder of the company GemForest. Alexander used to have mines in Madagascar and maintains a partner network in the key gemstone mining areas around the world. This grants him access to the finest stones, such as fantastic Paraiba tourmalines, spessartines, tsavorites, rubies and sapphires, of the best quality and often also in rare large sizes. The company is a leader in the trade in highly demanded spinels, which are offered in colours such as red, pink, violet and silver-light grey. He supplies the fine gems to big jewelry houses like Cartier, Van Cleef and Arples, Tiffany, Piaget, Patek Philippe, Jar, etc. I help Alexander with bringing these stones directly to private customers. Leveraging my contacts in the industry and expertise, I help clients find the right stone at the right price.Our clients include private investors, family offices and collectors with exacting standards and who seek sustainable values. We focus on the best and rarest qualities, so clients are assured of acquiring magnificent gemstones to be coveted for generations to come. 4. What is special about the stones you offer to your customers compared to other sources? We focus only on the rarest and finest gems, and ensure we provide the best individual cut for each stone. It is not uncommon that we loose while cutting an additional 10-15 % of the weight to make it perfect, but this is necessary for bringing out the full luster and beauty of each gem. Our customers very much appreciate our no compromise cuts, as well as the variety of shades, tones and sizes of the different precious minerals we can present to them. When I show customers our wine red rubies, grass green tsavorites, lemon and lime chrysoberyls, sapphires ranging from classic corn flower blue to pastel yellow or lavender tones, their eyes start to glow. This for me is the most beautiful part of my profession – in addition to being a great investment, the stones and the colors make people happy and give them good energy. 5. Who do you owe your success to? I owe my success first and foremost to my family who gave me a lot of love and has always believed in me, but also to the diverse people I’ve met during my many different stages in life who have given me new perspectives and had the generosity to share their knowledge. 6. What do you do in your spare time and where would we find you in Switzerland? I try to get outside and enjoy nature as much as possible, combining hiking with my interest in photography and staying active through tennis, cross country skiing, and yoga. Arts and culture have played a big role in my life, so I also try to make time for playing the piano and attending classical concerts and theatre performances (I always try to attend a Russian theatre performance when I visit my friends and family back home). When I’m not travelling for work, you will mostly find me near the Ägerisee. Being surrounded by crystal clear lakes and snow-capped mountains gives me inspiration and make me feel so grateful for living in such a beautiful country.